The US Institute for Excellence in Commerce awarded the Film Lab's social media team - consisting of Aurora Betson and Daryl King, among others - the 2013 United States Excellence Award for social media. 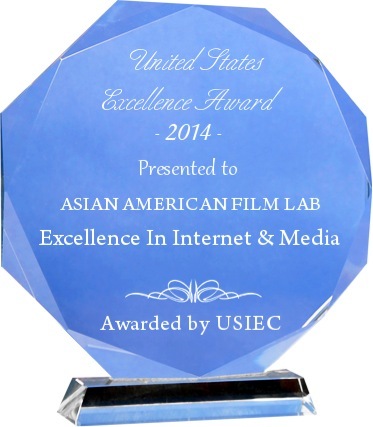 NEW YORK - Feb. 20, 2014 - PRLog -- Asian American Film Lab has been selected for the 2013 United States Excellence Award amongst all its peers and competitors by the US Institute for Excellence in Commerce (USIEC). Asian American Film Lab has consistently demonstrated a high regard for upholding business ethics and company values. This recognition by USIEC marks a significant achievement as an emerging leader within various competitors and is setting benchmarks that the industry should follow. The USIEC is a leading authority on researching, evaluating and recognizing companies across a wide spectrum of industries that meet its stringent standards of excellence. It has spearheaded the idea of independent enterprise and entrepreneurial growth allowing businesses of all sizes to be recognized locally and encouraged globally.